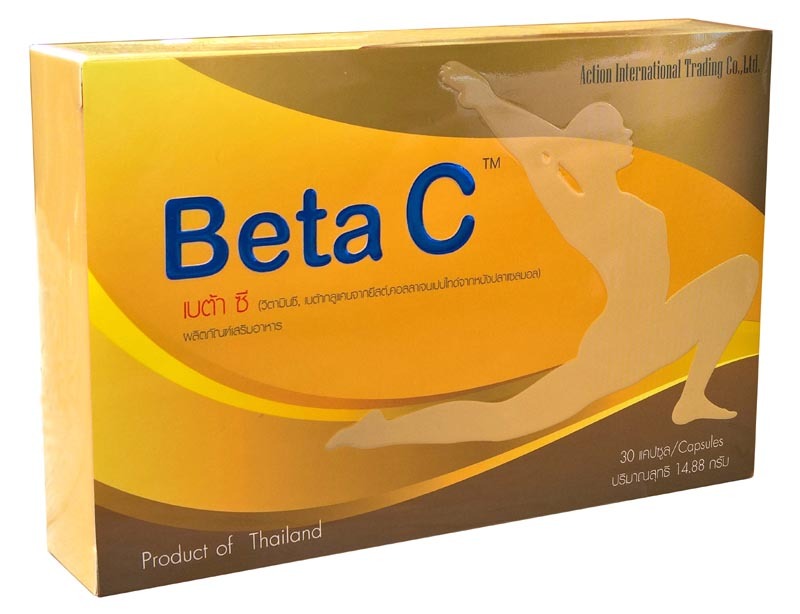 Beta C is packed in vegetarian capsules, 400 mg, blister packing, 30 capsules in each box. Beta 1,3/1,6 Glucan from Baker's yeast purified to at least 85 %. Beta 1,3/1,6 Glucan is a natural fibre with no side-effects. And it is known to be a powerful immune system modulator. Collagen Peptide extracted from the skin of Atlantic salmon. Produced in Switzerland, Collagen Peptide is an amino acid used by the body to produce collagen. Collagen is used to produce and maintain our skin, blood vessels, cartilage, tendons and muscles. Vitamin C extracted from pine needles. While most vitamin C is made from chemicals, is our vitamin C 100 % natural. Produced in Japan, vitamin C is a powerful antioxidant. It is important for the immune system and for the body to produce collagen.